Harvia is one of the largest sauna manufacturers in Finland and they have more than 60 years experience in the sauna industry. The company is firmly dedicated to maintaining the tradition of the Finnish sauna and they employ over 300 people to help them follow through on that mission. While the company is well known throughout the world as one of the largest sauna heater manufacturers, they’ve begun to start taking over on the sauna construction front as well. Their extensive experience in the industry and location right in the heart of the sauna culture makes them the foremost sauna experts in the world. Very few sauna manufacturers can make the claims that they can as far as knowledge, experience, and dedication to authenticity. While authenticity is important to customers, so too is having options. Fortunately, Harvia has made sure that they no longer lack behind in that department as they offer several different sauna options to meet the needs of any customer. Their sauna options include everything from a variant sauna to a rondium sauna to a claro sauna and they’ll also provide assistance for customers looking to create specially designed saunas. While Harvia does offer infrared options, they’re much more focused on providing products and models that continue the age old traditions of the Finnish sauna culture. They’re extremely experienced in interior design for saunas and, as we’ve mentioned, have also made a name for themselves through their high quality heaters. Overall, very few sauna manufacturers can compete with the authenticity provided by Harvia. 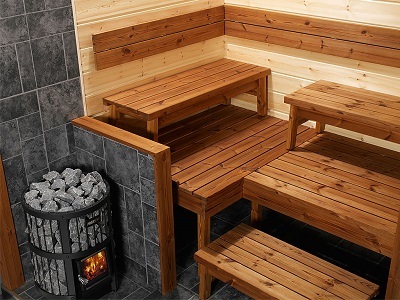 Customers looking for the ultimate Finnish sauna experience will thoroughly enjoy the products that Harvia has to offer.